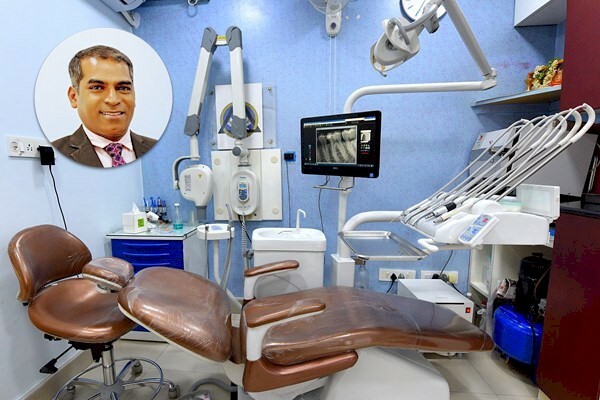 The JP Dental Clinic was established by Dr Jaipal Reddy, BDS, a graduate from one of the premier dental colleges of India, Government Dental College, Bangalore in the year 1999. He is an experienced endodontist and cosmetic dentist, well known in koramangala, Bangalore for his excellent quality dental treatments combined with warmth and personal attention. The experienced team of specialist at JP Dental Clinic (led by Dr Jaipal Reddy) is dedicated to excellence in dentistry and provides comfortable and modern dental services. Dentistry is an ever changing profession, our team is constantly upgrading their skills and knowledge to give patients the benefit of the latest techniques and equipments. Patients will receive effective treatment that has been tailored to their needs and for the best result in the shortest amount of time possible. Our facility is equipped with the latest of advanced diagnostic facilities, highly advanced digital imaging (x-ray) system, etc. These diagnostic advances allow our dentists to better diagnose the dental problems. Our goal is to enable every individual to maintain their natural teeth with healthy, functional and aesthetically pleasing smiles. Our team strives for perfection, making sure that you get the results you desire. whether you seek to improve your oral health with a routine checkup or require more complex procedures. At JP Dental Clinic, we’re passionate about delivering a unique dental experience to each of your visits with us. We focus on your comfort, committed to a pain free dental treatment experience using the most advanced techniques and equipments to reach your oral health goals. It is our mission at JP Dental Clinic that our patients are welcomed, receive best dental care and are satisfied with the treatment provided by us. We treat each patient in a caring, understanding, empathetic, honest and professional manner. We are passionate about what we do and we want our patients to feel confident that they will receive the best care dentistry has to offer. Each of our dental practitioners strive to provide our patients with treatment options suitable to their individual needs. We aim to provide our patients with affordable personalized dental care, using state of the art services and technology. We believe in preventative dental care for our patients and we educate them on how to maintain their dental health for life. To support this we provide a warm, relaxing and supportive environment for both our patients and our staff. Every patient is important to us. Our concern is that every patient is treated carefully with special attention to their time, comfort and needs. We strive to be of value to our patients with a goal to exceed their expectations. Our vision at JP Dental Clinic is to provide our patients with a dental care that will promote life-long relationship built on trust, confidence, quality of work and exceptional patient care. It is our vision to update ourselves with the best technology, procure the most suitable materials available in dentistry and infection control to treat the patient with the highest level of care, skill, judgment, comfort and compassion. We believe in growing, adapting and evolving with our profession and community.